There are 6 heroes in Moonlit Isle’s faction. Our Ultimate Seven Knights Hero List guides take a deeper look at the faction members & their bios, see how to evolve their ranks, learn of their special skills, plus more. Read our full review on Seven Knights for an overview of the entire game… and let’s demystify some of the complex upgrade system so you can use to your advantage! Below you will find three tables with slightly different information. The key differences are Rank, HP (base), Physical Attack (base), Defense (base), Speed, and various percentages in all Skills. 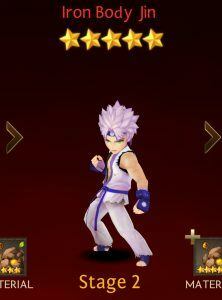 As you can see we have listed the base stats for HP, Physical Attack and Defense. These numbers increase as you Level Up, Power Up or increase both in combination. For example, if you acquire Tenacious Hunter Rei and Level Up to max level 40 plus Power Up to max +5 his stats would read: HP 2839, Physical Attack 1569, Defense 691. We will offer an online Seven Knights calculator soon for you to compute stats yourself. 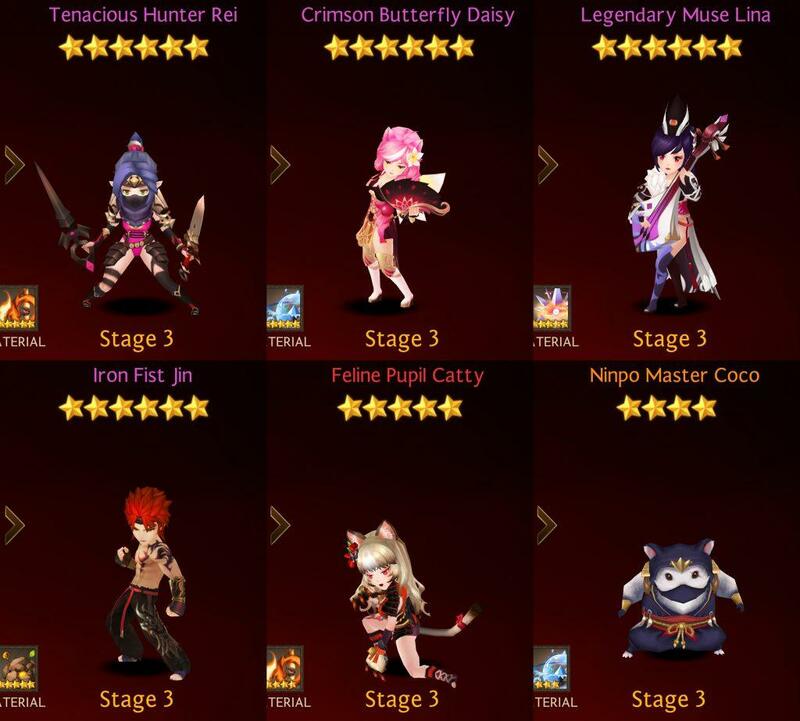 The main goal of being familiar with these figures and knowing about hero skills is to give you a competitive advantage while playing. Knowing when to use or when not to use a skill in battle can make the difference in success or defeat in tough bouts. Tenacious Hunter Rei Offensive 2839 1569 691 26 Nimble Lethal Blow. 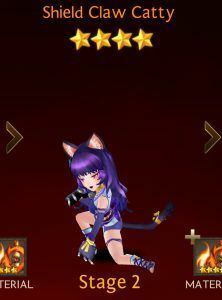 Attacks all enemies with 80% Physical Attack. Additionally, piercing will take effect. 90 Dagger Deluge. Inflicts 80% Physical Damage on all enemies. Bleeds the enemy with 50% of Physical Attack for 2 turns at a certain rate. 85 Hide. Becomes untargetable for 3 turns. 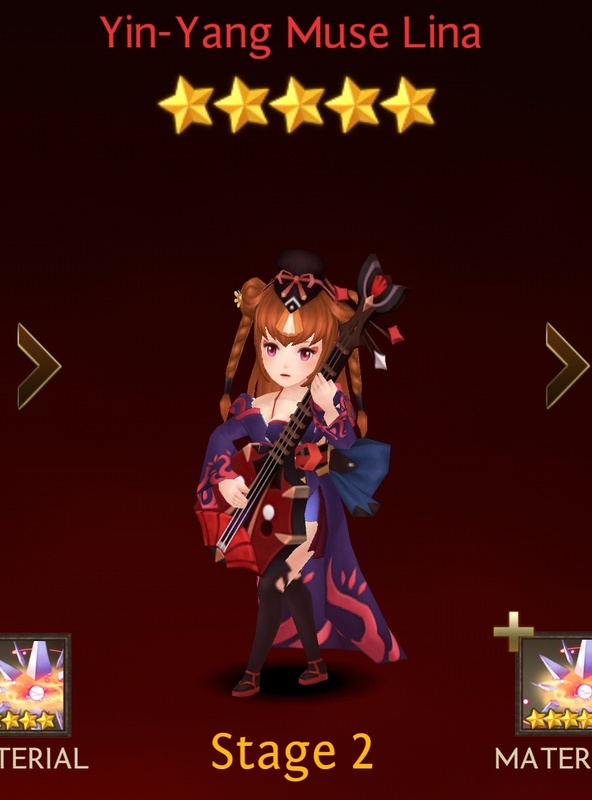 Additionally, reduces Damage received from 5-target AOE attacks by 50% and becomes immune to debuffs. [Easy] 8-9 – 8-20. [Normal] 8-1 – 8-20. 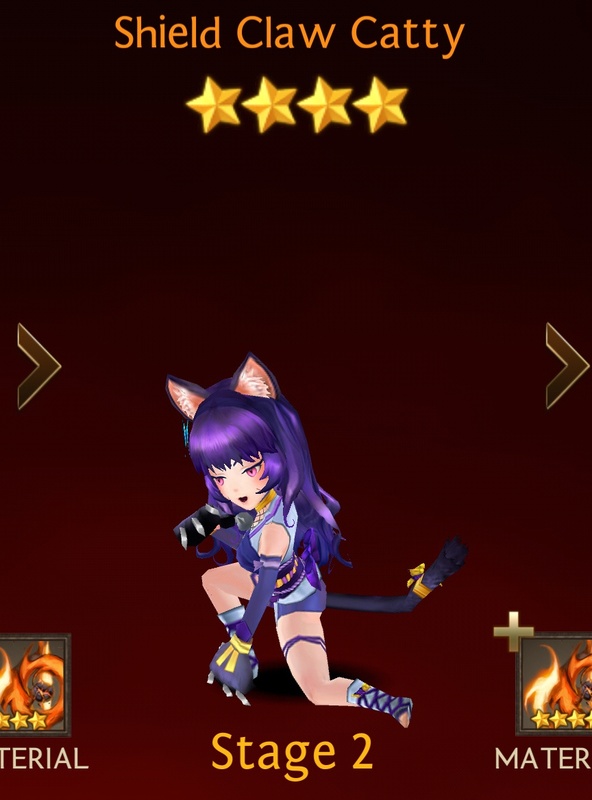 No one can run from Rei forever. Her tenacity is legendary. This characteristic of her’s earned her the title of Tenancious Hunter. Crimson Butterfly Daisy Magic 899 534 216 26 Dancing Fan. Attack an enemy with 350% Magic Attack. Additionally, piercing will take effect. 72 Fire Butterfly. Inflicts 100% Magic Damage on 4 enemies. Decreases the enemy’s Def by 50% for 2 turns. 82 Agile Movement. Increases the Magic Attack of all allies by 40%. Additionally, becomes immune to all damage for 2 turns. [Easy] 8-9 – 8-20. [Normal] 8-1 – 8-20. Have you ever seen crimson butterflies light up the night sky? Unlike moths that fly into fire to die, these butterflies become fire and death, and fly to you. 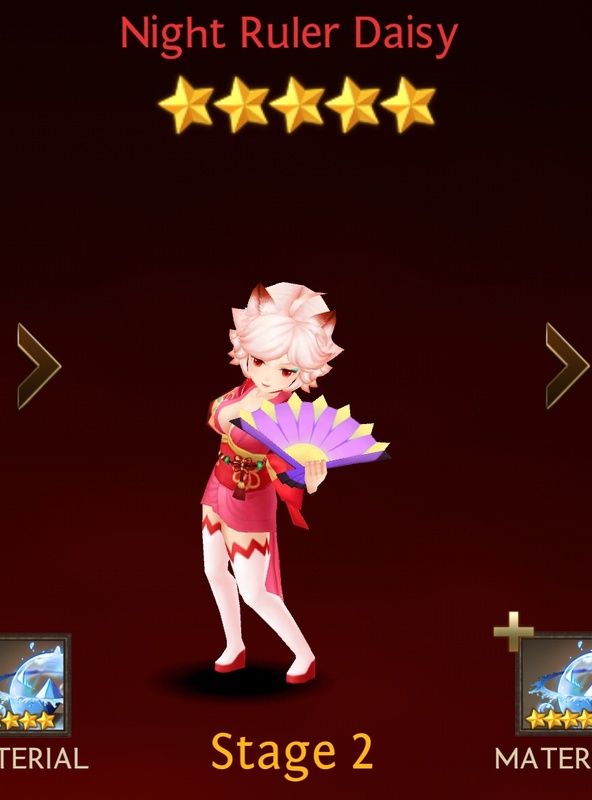 Legendary Muse Lina Support 1076 377 236 12 Marching Anthem. Recovers all allies with 60% of Magic Attack. The effect will last for 2 turns. 100 Warm Echo. Increases the Damage of all allies by 50% for 2 turns. 102 Dissonance. Decreases the Attack and Def of all enemies by 25%. [Easy] 8-11 – 8-20. [Normal] 8-1 – 8-20. Through her performances, Lina developers a greater understanding of the Yin and Yang. Deemed a worthy descendant of Cheong Myung, she was given the title of Legendary Muse. 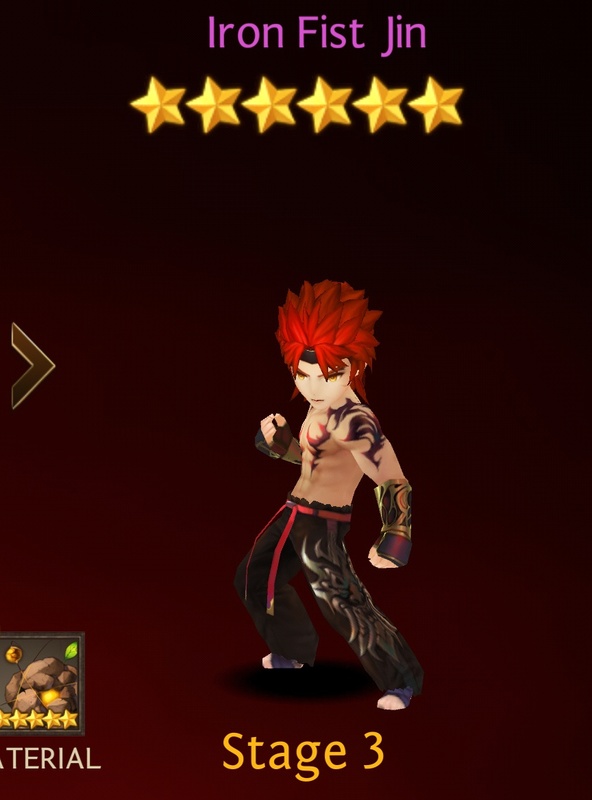 Iron Fist Jin Defensive 1456 333 347 14 Omni-Energy Blast. Inflicts 80% Physical Damage on all enemies. Stuns the enemy for 2 turns at a certain rate. 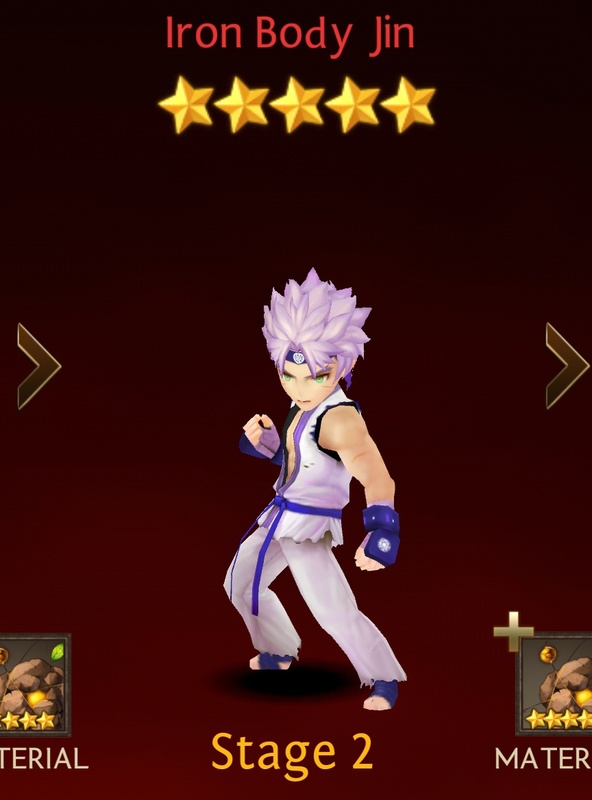 80 Omni-Strike. Inflicts 500% Physical Damage on 1 enemy. 120 Trained Iron Body. Increase Physical Attack by 40% of Def. Additionally, decreases all Physical Damage received by all allies by 40%. [Easy] 8-5 – 8-20. [Normal] 8-1 – 8-20. His iron fists are the fruit of his extreme training; they are capable of breaking anything. Night Soldier Rei Offensive 703 419 169 20 Nimble Lethal Blow. Attacks all enemies with 70% Physical Attack. Additionally, piercing will take effect. 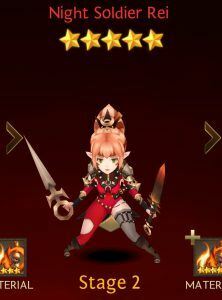 90 Dagger Deluge. Inflicts 70% Physical Damage on all enemies. Bleeds the enemy with 40% of Physical Attack for 2 turns at a certain rate. 85 Hide. Becomes untargetable for 2 turns. 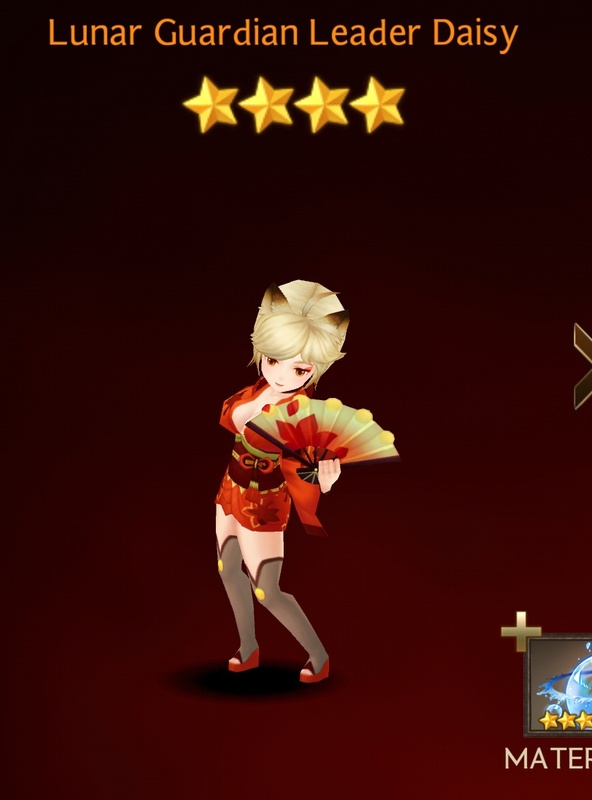 Additionally, reduces Damage received from 5-target AOE attacks by 50% and becomes immune to debuffs. [Easy] 8-7 – 8-20. [Normal] 8-1 – 8-20. 5 Star Fire Element They awaken deep in the night after everyone has fallen asleep. They move in the darkness. They are soldiers of the night. Night Ruler Daisy Magic 703 419 169 20 Dancing Fan. Attack an enemy with 250% Magic Attack. Additionally, piercing will take effect. 72 Fire Butterfly. Inflicts 90% Magic Damage on 4 enemies. Decreases the enemy’s Def by 40% for 2 turns. 82 Agile Movement. Increases the Magic Attack of all allies by 30%. Additionally, becomes immune to all damage for 1 turn. [Easy] 8-9 – 8-20. [Normal] 8-1 – 8-20. 5 Star Water Element The Lunar Guardians are also known as soldiers of the night. Naturally, the ninjas of the Lunar Guardians address Daisy as the Night Ruler. She doesn’t seem to mind. 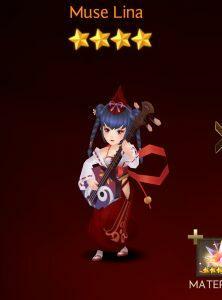 Yin-Yang Muse Lina Support 840 297 188 10 Marching Anthem. Recovers all allies with 50% of Magic Attack. The effect will last for 2 turns. 99 Warm Echo. Increases the Damage of all allies by 40% for 2 turns. 102 Dissonance. Decreases the Attack and Def of all enemies by 15%. [Easy] 8-6 – 8-20. [Normal] 8-1 – 8-20. 5 Star Light Element Lina believes that music has the capability of moving the hearts of all creations. Lina’s moving performance earned her the title of Yin-Yang Muse during her adventure. Iron Body Jin Defensive 1126 258 261 12 Omni-Energy Blast. Inflicts 70% Physical Damage on all enemies. Stuns the enemy for 2 turns at a certain rate. 80 Omni-Strike. Inflicts 350% Physical Damage on 1 enemy. 120 Trained Iron Body. Increase Physical Attack by 30% of Def. Additionally, decreases all Physical Damage received by all allies by 30%. [Easy] 8-5 – 8-20. [Normal] 8-1 – 8-20. 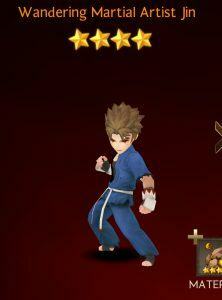 5 Star Earth Element As Jin left Auric Nation, he met Li and battled against the monk. Jin suffered a severe loss, and so returned to his hometown to train. Feline Pupil Catty Offensive 703 419 169 20 Brutal Claw. Inflicts 170% Physical Damage on 1 enemy. Blinds the enemy for 2 turns at a certain rate. 48 Search Vitals. Increases the Critical Rate of all allies by 50% for 2 turns. 102 Sharp Claw. Launches a basic attack and bleeds the enemy with 50% of the Physical Attack for 2 turns at a certain rate. [Easy] 8-3 – 8-20. [Normal] 8-1 – 8-20. None. She once attacked Jin out of her feral instinct, but quickly lost the fight. She started to follow him and began to train under his tutelage. Azure Dagger Rei Offensive 539 325 134 16 Nimble Lethal Blow. 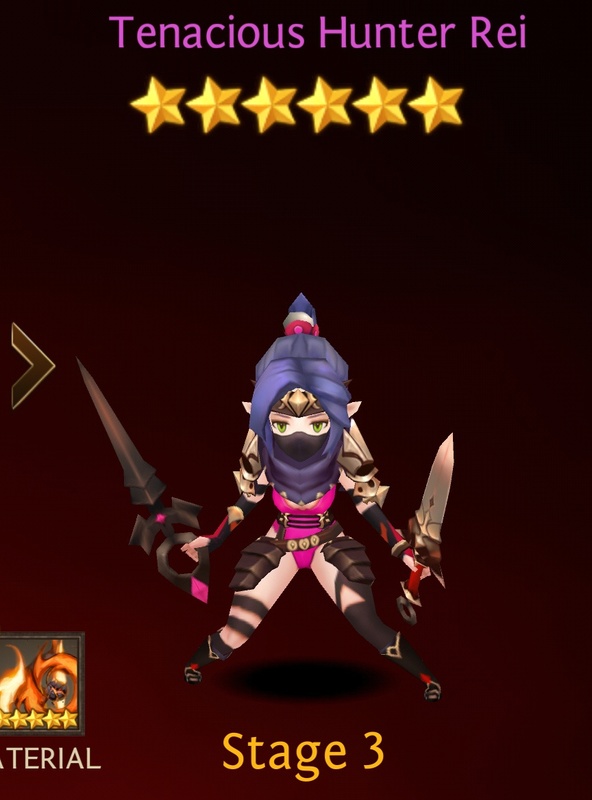 Attacks all enemies with 65% Physical Attack. Additionally, piercing will take effect. 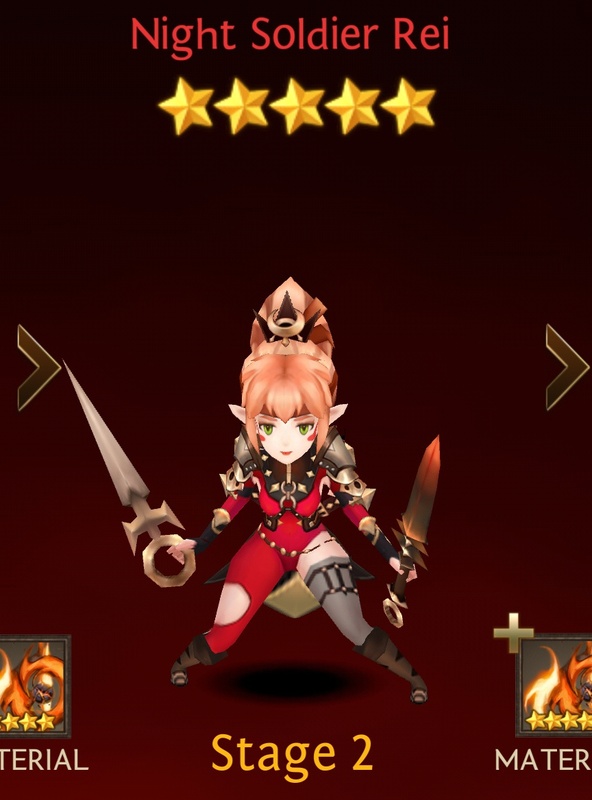 90 Dagger Deluge. Inflicts 65% Physical Damage on all enemies. 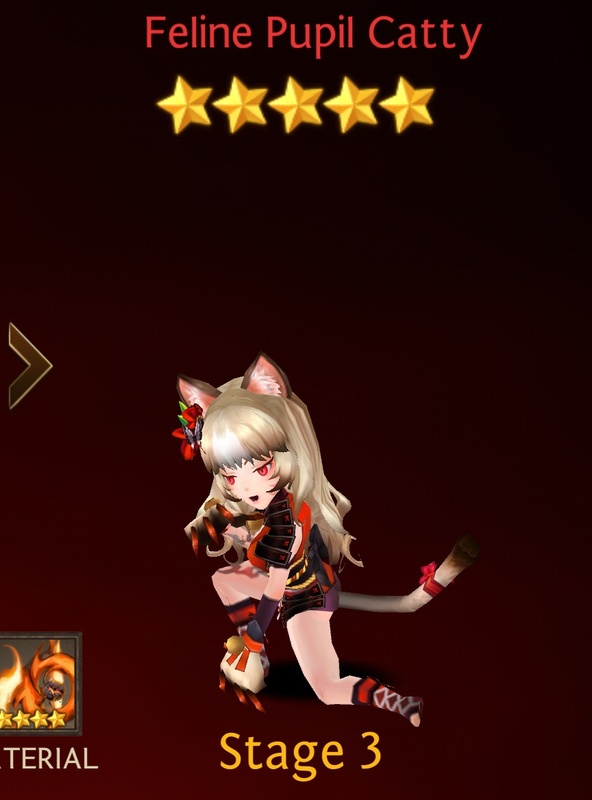 Bleeds the enemy with 35% of Physical Attack for 2 turns at a certain rate. 85 Hide. Becomes untargetable for 1 turn. 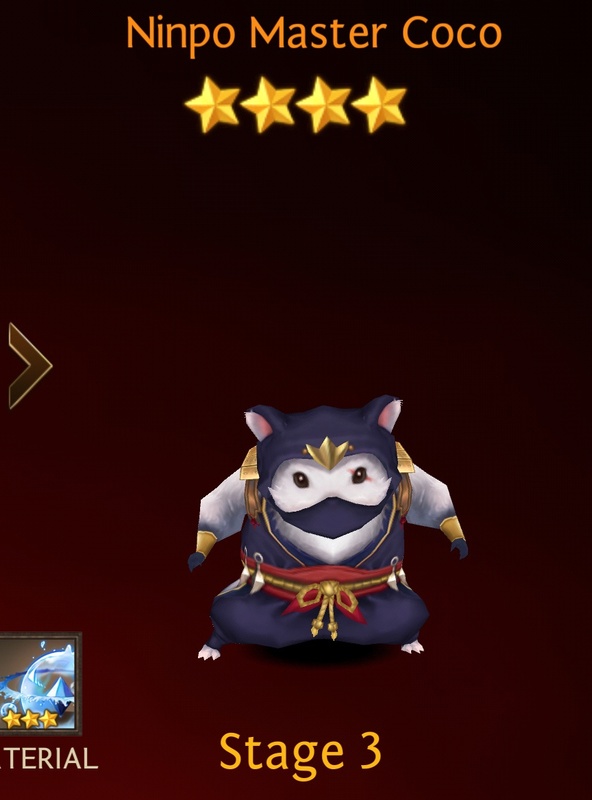 Additionally, reduces Damage received from 5-target AOE attacks by 50% and becomes immune to debuffs. [Easy] 8-6 – 8-20. [Normal] 8-1 – 8-20. 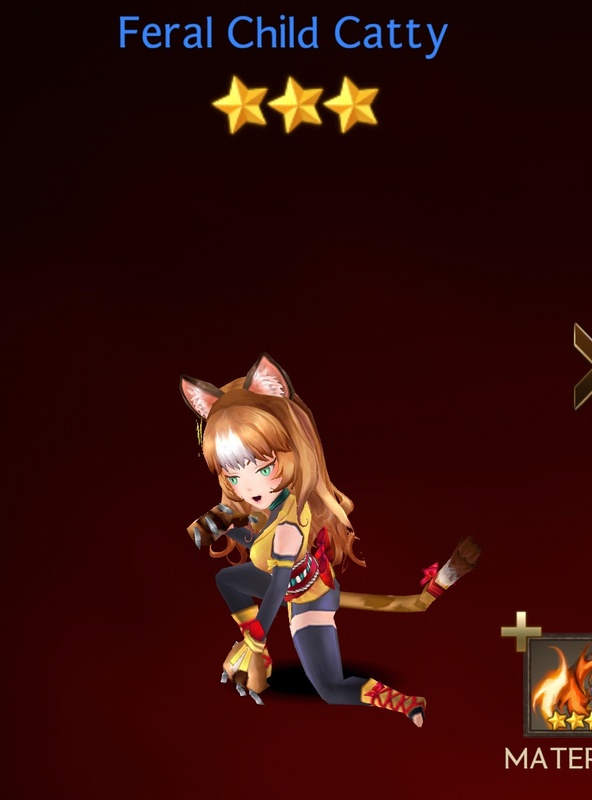 4 Star Fire Element As a member of the Lunar Guardians, Rei uses azure daggers. The daggers themselves are gold, but the sharp blades glint blue in the moonlight. 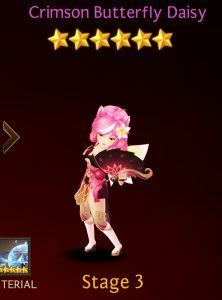 Lunar Guardian Leader Daisy Magic 539 325 134 16 Dancing Fan. Attack an enemy with 150% Magic Attack. Additionally, piercing will take effect. 72 Fire Butterfly. Inflicts 80% Magic Damage on 4 enemies. Decreases the enemy’s Def by 30% for 2 turns. 82 Agile Movement. Increases the Magic Attack of all allies by 20%. Additionally, becomes immune to all damage for 1 turn. [Easy] 8-8 – 8-20. [Normal] 8-1 – 8-20. 4 Star Water Element Daisy is Ace’s older sister and the leader of the Lunar Guardians. She studied Yin-Yang and Ninjutsu to protect her little brother. 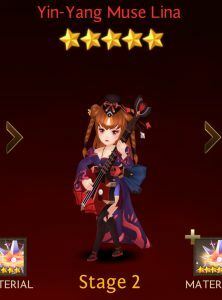 Muse Lina Support 638 229 146 8 Marching Anthem. Recovers all allies with 60% of Magic Attack. The effect will last for 2 turns. 100 Warm Echo. Increases the Damage of all allies by 50% for 2 turns. 102 Dissonance. Decreases the Attack and Def of all enemies by 25%. [Easy]. [Normal] 8-1 – 8-20. 4 Star Light Element Descendant of the legendary Yin-Yang Master Cheong Myung, Lina has a superb understanding of Yin-Yang, and is also savvy with musical instruments. Wandering Martial Artist Jin Defensive 870 202 206 10 Omni-Energy Blast. Inflicts 65% Physical Damage on all enemies. Stuns the enemy for 2 turns at a certain rate. 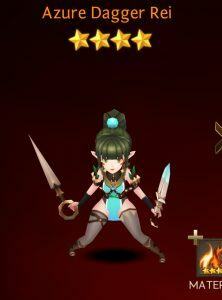 80 Omni-Strike. Inflicts 250% Physical Damage on 1 enemy. 120 Trained Iron Body. Increase Physical Attack by 25% of Def. Additionally, decreases all Physical Damage received by all allies by 20%. [Easy] 8-4 – 8-20. [Normal] 8-1 – 8-20. 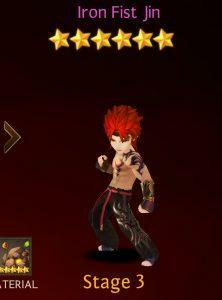 4 Star Earth Element Jin wanders around the world searching for strong opponents to prove his power. He traveled to Auric Nation to battle its famous priests, but found the nation in ruins. Shield Claw Catty Offensive 539 325 134 16 Brutal Claw. Inflicts 160% Physical Damage on 1 enemy. Blinds the enemy for 2 turns at a certain rate. 49 Search Vitals. Increases the Critical Rate of all allies by 40% for 2 turns. 102 Sharp Claw. Launches a basic attack and bleeds the enemy with 40% of the Physical Attack for 2 turns at a certain rate. [Easy] 8-2 – 8-20. [Normal] 8-1 – 8-20. 4 Star Fire Element She realized that she was different from other cats, but that did not deter her in any way. She continues to protect the cat that raised her and doesn’t associate with humans. All 3-star Moonlit Isle heroes do not have Passive skills. Feral Child Catty Offensive 1076 377 236 12 Brutal Claw. Inflicts 150% Physical Damage on 1 enemy. Blinds the enemy for 2 turns at a certain rate. 50 Search Vitals. Increases the Critical Rate of all allies by 35% for 2 turns. 102 [Easy]. [Normal] 8-1 – 8-20. 3 Star Fire Element Raised and fed by a cat, Catty is pretty feral due to her wild upbringing. She almost ate a ninja hamster at one point, but decided to let him go. 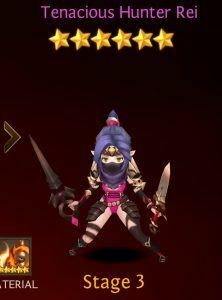 Persistent Ninja Coco Magic 412 246 102 13 Lightning Shuriken. Inflicts 150% Magic Damage on 1 enemy. Electries the enemy for 1 turn at a certain rate. 72 Hamster Ninjutsu. Becomes immune to 5-target AOE attacks for 2 turns. 100 [Easy] 8-2 – 8-20. [Normal] 8-1 – 8-20. 3 Star Fire Element Coco met Jin after his multiple failed attempts to get revenge on the cat. He was inspired by Jin’s persistent training and began to train just as hard. 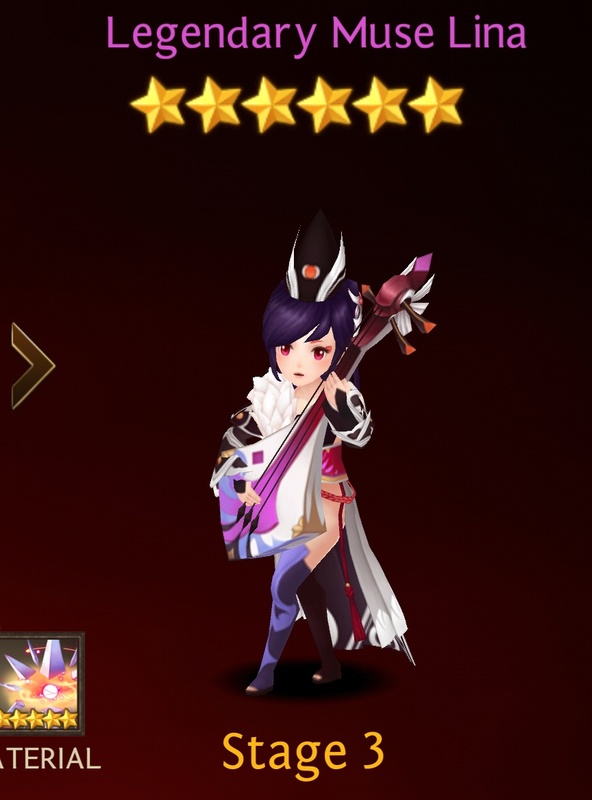 All 2-star Moonlit Isle heroes do not have Passive skills. 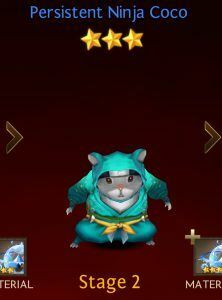 Ninja Hamster Coco Magic 334 187 74 10 Lightning Shuriken. Inflicts 140% Magic Damage on 1 enemy. Electries the enemy for 2 turns at a certain rate. 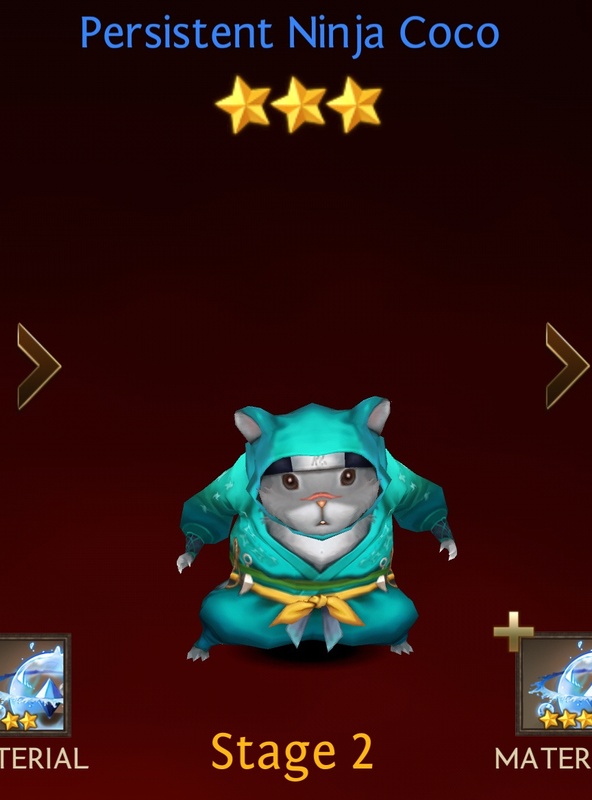 72 Hamster Ninjutsu. Becomes immune to 5-target AOE attacks for 2 turns. 70 [Easy]. [Normal] 8-1 – 8-20. 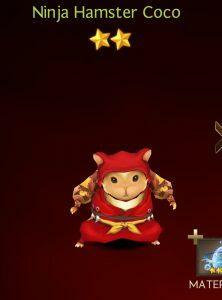 2 Star Fire Element Coco is a ninja hamster with inferior skills compared to his other siblings. He is constantly harassed by the cats nearby and is training to get revenge.